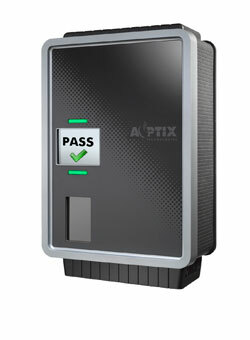 AOptix Technologies has announced the redesign of its InSight VM series of iris recognition systems. The redesign moved all the internal components of the system to align vertically leading to a slimmer version of the original system. The new design still uses the company’s Adaptive Optics iris technology and is not expected to change any of the features of the system, such as authentication from up to two meters away from the device and a two second authentication time.